A rack of LimeBikes outside Tahoe Mountain Lab gets a light dusting of snow on Sept. 21. SOUTH LAKE TAHOE, Calif. — As communities across the globe grapple with how to regulate the emerging electric-scooter industry, an early pilot community in the U.S. is steering in a more collaborative direction. City Council on Tuesday directed staff to work with Lime, an e-scooter and micro-mobility company, on three potential regulatory aspects for the upcoming season in the city. Lime, which piloted its dockless bike share program in South Lake Tahoe in 2017, intends to return this summer with its e-scooters. Company wide, Lime is moving away from the traditional pedal bikes that it first deployed in Tahoe. The company cites profitability as the rationale for the move toward e-scooters — an overall industry trend, as bicycling.com recently reported. 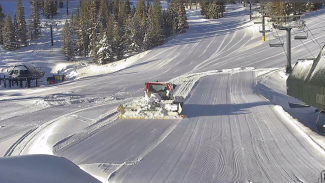 That news about the upcoming South Lake Tahoe season was welcomed by some council members and community members in attendance Tuesday, including Becky Bell. Bell’s husband, Gary Bell, owns Sierra Ski and Cycle Works, which has been operating on South Shore for 38 years. Echoing concerns first voiced when Lime started its pilot program in 2017, Bell said the bikes brought negative ramifications for local bike shops like Sierra Ski and Cycle Works. “It has impacted our industry … ” she told council. While Bell was excited about the move away from bikes, she pointed to several other issues associated with Lime’s dockless system that she said should be addressed. Those include what she described as “scenic” issues — essentially the appearance of scooters littered throughout the area. 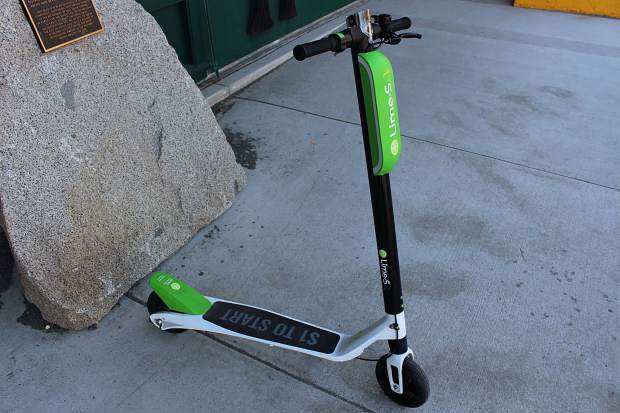 That visual disruption, however, is likely due to the scooters still being relatively new, said Jonathan Hopkins, Lime’s director of strategic development in the Northwest. Hopkins contends vehicles are a much larger visual — and environmental — impairment than the scooters. Lime estimates that the 225,998 total trips in 2018 amount to savings of 186,000 vehicle miles traveled, 7,800 gallons of gas and 325,000 pounds of CO2 from car emissions. Citing media reports stating Lime is now valued at more than $2 billion, Bell said the company should be required to make larger financial contributions to the city than it has the last two years. Valuation does not translate to money in the bank. In the case of Lime, the company is valued at $2.4 billion but it has raised $877 million through its initial five funding rounds, according to Tech Crunch. While the dollar amounts are massive, it’s common for startups saturated with venture capitalist funding to struggle with turning a profit, at least early on. Perhaps the most notable example of this is Uber, which reportedly lost over $1 billion in 2018, according to Bloomberg. Regardless of those realities, several council members expressed a desire to see the city recoup more money to cover costs associated with permitting and safety. 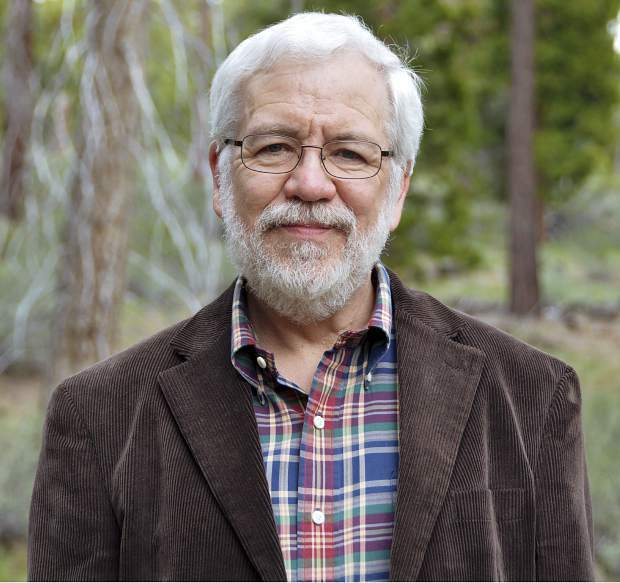 As City Manager Frank Rush noted in a memo to council, the city has only collected several hundred dollars in business license fees from Lime in its first two years in South Lake Tahoe. In responding to questions from council, Hopkins explained that a typical model for revenue generation is a per-ride fee in the neighborhood of 5 to 10 cents. A large up-front fee per scooter could make it cost prohibitive, according to Hopkins. Exploring other fee structures and finding a model appropriate for Tahoe was one of the three regulatory matters that council directed staff to work on with Lime. 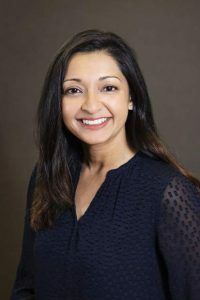 Council also directed staff to work with Lime on determining what would be an appropriate cap for the number of scooters in the city, as well as exploring possible safety improvements including geo-fencing to stop the scooters from operating in pedestrian-dense locations such as Heavenly Village. While weather could alter plans, Lime intends to follow its 2018 schedule this year, which would put a launch in late May or early June. Hopkins told the Tribune that the city of South Lake Tahoe has been a fantastic partner thus far. “They’re doing their due diligence and paying attention to what they need to. That’s what good partners do,” he said. Some on council shared similar sentiments regarding the city’s relationship with Lime. Councilor Devin Middlebrook, pointed to the company’s willingness to go “above and beyond” when it comes to addressing concerns in the community. He said it would be a “big mistake” for council to over-regulate the company at this stage in the game. Not every community has taken the same approach to e-scooters — an industry that also includes Lift, Bird, Spin and other companies. From California to Florida, some cities have enacted moratoriums on the scooters, with safety typically ranking among a top concern. Earlier this month a divided vote by Reno City Council prevented the extension of a franchise agreement with Lime. 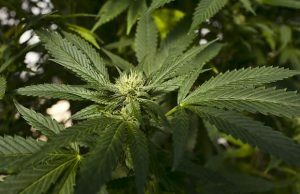 According to the Reno Gazette-Journal, the city is awaiting direction from the Nevada Legislature as to whether the scooters are considered mopeds, which require registration with the Department of Motor Vehicles, or electric bicycles, which do not require registration. Hopkins declined to comment beyond stating that the Legislature is addressing the issue. Lime does not encourage scooter users in South Lake Tahoe to cross the state line into Nevada, he added. Lime continues to assess other potentially suitable markets, but Hopkins did not say the company is looking at other communities around the lake. South Lake Tahoe is an abnormality for the company. It is both one of the smallest markets and it is only one of two seasonal locations, the other being Zurich, Switzerland. Despite those departures from more typical markets, there is a demand in South Lake Tahoe for the type of micro mobility that Lime provides, according to the company. The city was one of the first locations the company, founded in 2017, launched in. The League to Save Lake Tahoe played a critical role in bringing Lime to the lake, and the company continues to enjoy support from The League. “And we’re really excited to have them back next summer,” Gavin Feiger, land use policy analyst for The League, told council. 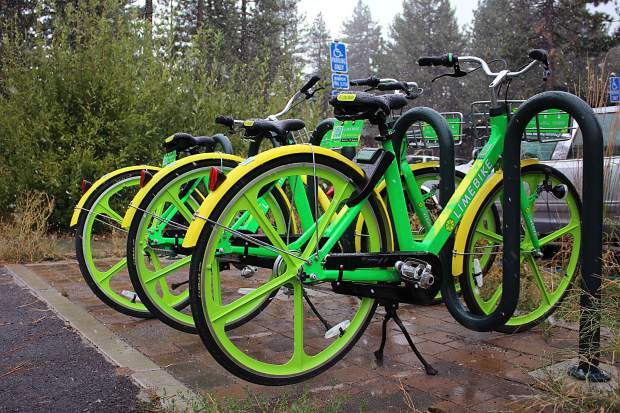 The initial controversy surrounding the company, which was named LimeBike when it first came to Tahoe, has decreased with each year, Feiger added. And the popularity increased dramatically in 2018 due to the introduction of scooters, according to data provided by Lime. There were 225,998 total trips in 2018 — 18 times more trips than in 2017. Of the 2018 trips, the overwhelming majority, 171,942, were scooter rides. There was a total of 63,374 unique riders last season. Over 1,000 people took 15 or more rides during that season, while more than 4,000 people took more than five rides. A total of 279,440 miles were traveled last year. Still, safety remains a concern for some, including Mayor Brooke Laine, who urged Lime officials to do more to make sure riders have greater access to helmets. “The helmet issue is the biggest problem for me,” she said Tuesday. On the topic of safety, Councilor Jason Collin, who works at Barton Health, said the hospital saw a total of 52 cases related to scooters in 2018. Following council’s direction, staff will work with officials from Lime on potential changes to try and implement for the upcoming season. Those changes will come back to council for consideration.